Keep your fish and corals cool. Don't let the increased temperatures affect the health of your livestock. High water temps will stress and kill coral. Pick up an Aqua Euro chiller and keep your aquarium cool. Wholesale only. Available from your local fish store or online aquarium vendors. Tank(s): 34 gallon nano & 28 gallon. 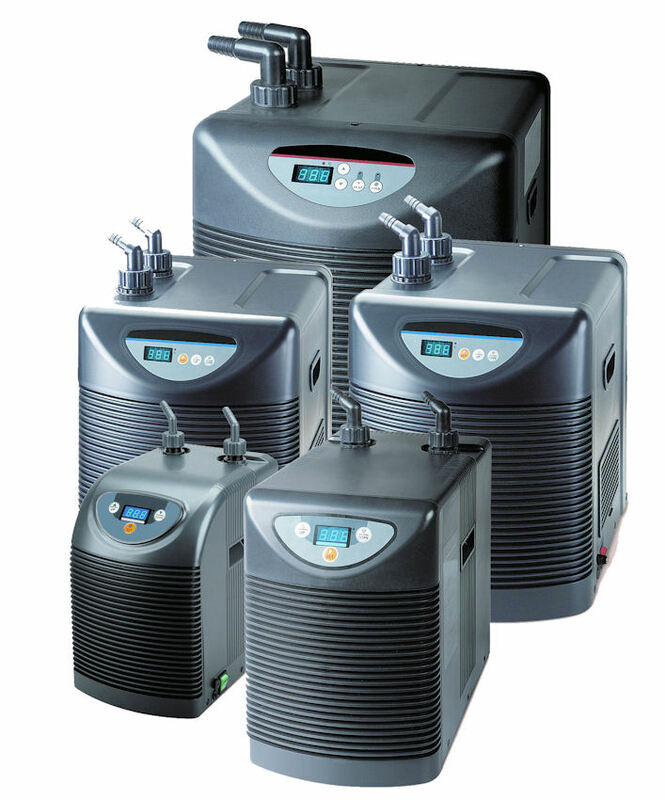 Aqua Euro Protein Skimmers & Aqua Euro chillers.